Meredith Russo - IF I WAS YOUR GIRL: I've been waiting for this book for a while. YA about a trans girl that's actually written by a trans woman, yes, please. That and the premise sounds just awesome. Renee Ahdieh - THE ROSE AND THE DAGGER: I've been waiting for this sequel ever since finishing THE WRATH AND THE DAWN. Sarah Rees Brennan - TELL THE WIND AND FIRE: A Tale of Two Cities with dark magic and violence. Hell yes! Rachel Caine - PAPER AND FIRE: I cannot wait for this book! Is it July already?! Stacey Lee - UNDER A PAINTED SKY - This diverse YA Western has been on my list for a while. I'm looking forward to finally rectify this! Carol Berg - DUST AND LIGHT and ASH AND SILVER: It's been far too long since I've read Carol Berg's books. Aaron Michael Ritchey - DANDELION IRON: Female-powered SF--check! Evangeline Denmark - CURIO: I picked this up at PPWC, because alchemists and magic! Kevin J. Anderson - CLOCKWORK ANGELS: This had me at world-controlling watchmakers and the cool steampunk illustrations throughout the book. Kristy Acevedo - CONSIDER: A girl with anxiety learns the world is about to end. 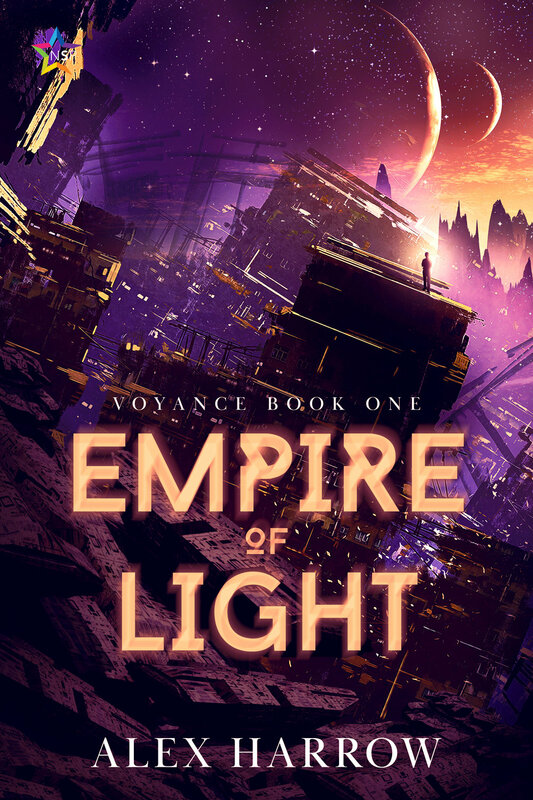 Ann Aguirre's SIRANTHA JAX series: I've started this series a while ago and want more, because female-driving space opera! Jandy Nelson - I'LL GIVE YOU THE SUN: Another one that's been on my TBR for too long. Let's do this. C. Gockel - I BRING THE FIRE: Because Loki. C. R. Asay - HEART OF ANNIHILATION: Badass military SF FTW! Tanya HUFF - CONFEDERATION series: Because this female staff sergeant is one of my favorite characters ever. Okay, that's my list, at least for now, but I'm always looking for more. What are you reading this summer? Please leave me your recommendations in the comments. Bonus points for diversity with explosions, as always.